At the start of Incursion (Book 1), Kali is approximately 24 years old. 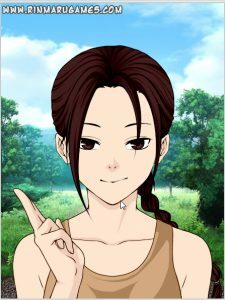 She has dark brown hair and eyes, and is of a petite build. She believes that she was born with a malformed knee joint, which gives her a limp can cause great pain, all of which makes physical exertion very strenuous, if not impossible. Subsequently, Kali spends much of her life indoors or being sedentary. 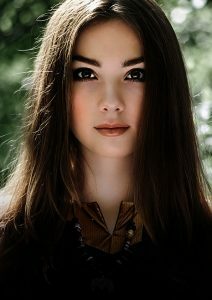 She is an avid reader with a fondness for histories and nature treatises, though she enjoys adventure stories as well. She is also an accomplished viol player. I’ve written fanfiction about as long as I’ve produced original work – going on about 20-something years now. Kali began life as an original character, (OC); a Jedi Knight in a Star Wars story I started after being pummeled with the inspiration sledgehammer that was The Phantom Menace. (Yes, I love the prequels. Don’t judge me.) Kali was originally just supposed to be a love interest for my favorite Star Wars character, Obi-Wan Kenobi, but took on a life of her own. Over the years, I’ve written many, many stories about her and she has evolved into the character seen in Catalyst Moon. One of the biggest challenges in bringing a fanfiction OC to an original story was figuring out Kali’s motivations. As a Jedi, her life and her motivations are entirely different than those of a mage in the Catalyst Moon ‘verse; both Kalis have had totally different backgrounds that have shaped the persons they become in their respective stories. This was more difficult than I anticipated. At times, I considered scrapping Kali altogether and creating a new leading lady for CM, but I’m glad I stuck with her, because so much of the story has been shaped around Kali’s character. My work is extremely character-driven, so in many ways Kali, (and Stonewall, of course! ), is the heart and soul of Catalyst Moon. 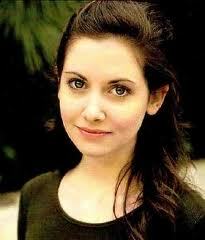 The first two are of the actress Alison Brie, who, (aside from her blue eyes), has always reminded me of Kali. She’s the only actress I’ve ever seen and thought, “that’s Kali!” The third image is from an anime character creator one of my friends shared with me. This is “Jedi Kali” in all her wryness. Additionally, the “featured image” at the top of this page is Moraine Lake, which – oddly – always reminds me of Kali. I hope you’ve enjoyed this insight into Kali’s character! Please let me know your thoughts in the comments, and please do feel free to share! 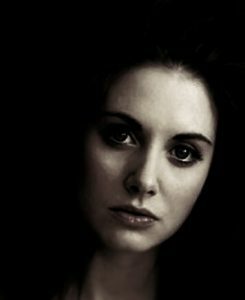 I thought that first picture of Alison Brie looked familiar! But she really does look like Kali, doesn’t she? Especially the eyes. They’re just like I imagined them. I always love hearing more about characters, especially from the authors themselves. Thank you for sharing this! It was really interesting, especially your thoughts about Star Wars!Kali vs. CM!Kali. P.S. : Could totally relate to that “took on a life of her own” bit. My characters have a tendency to do that, too.